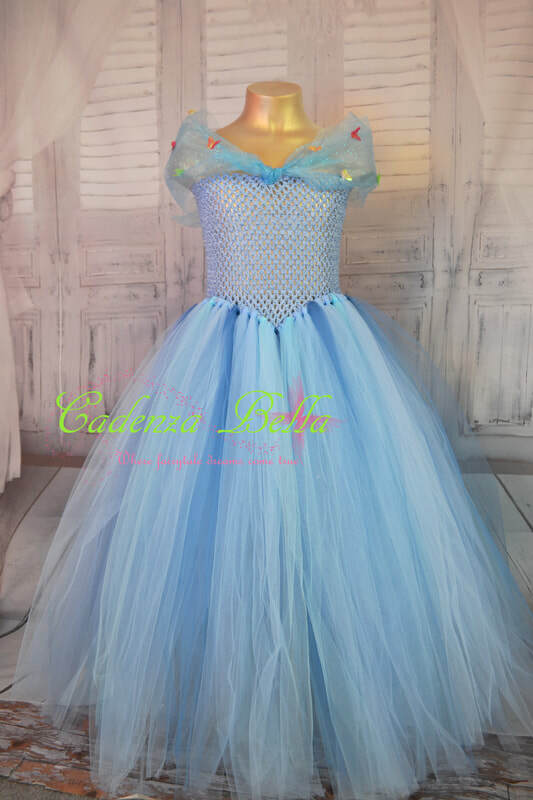 These beautiful Cadence tutu dresses come in a variety of princess styles. 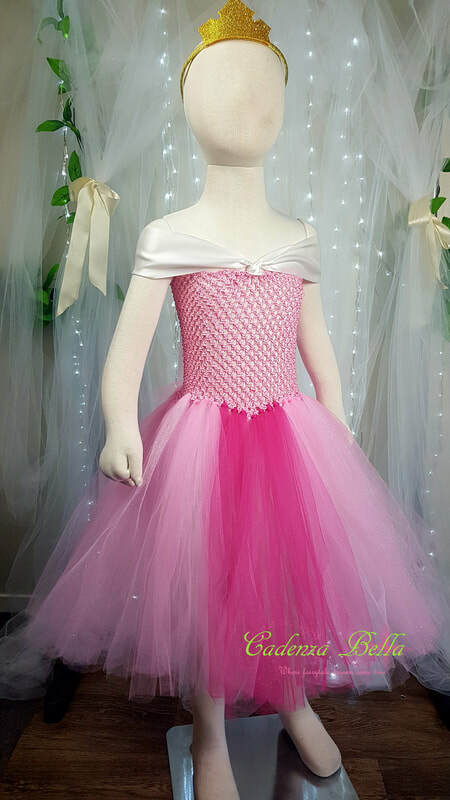 I can even custom make these to your specifications, maybe you want to change the colour or have a different combination in mind. 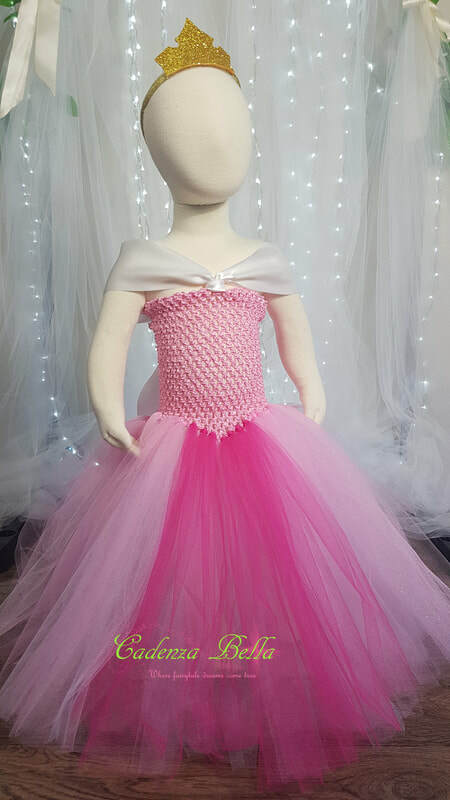 I currently have 10 Princesses to choose from, or contact me to make your own. 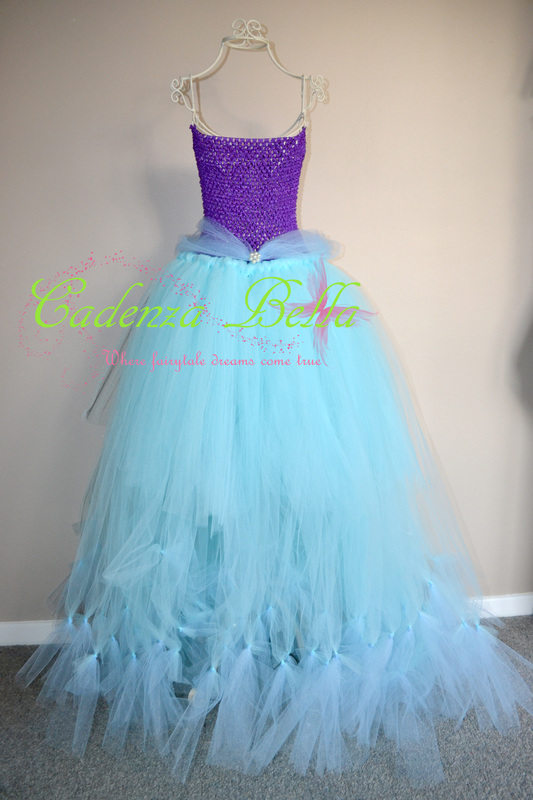 Dance with the butterflys all day in this stunning design. 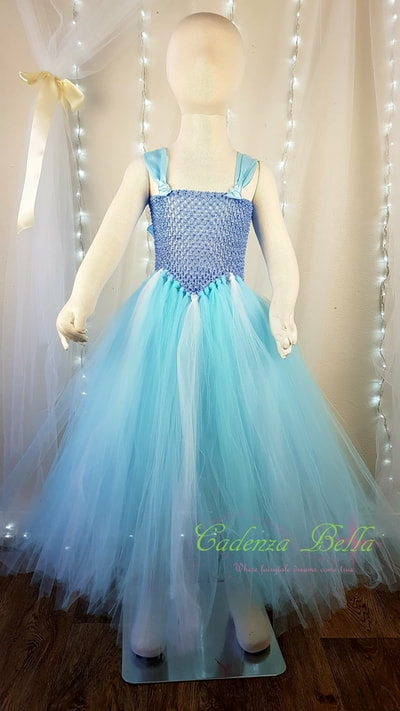 This beautiful dress is made in shades of blue tulle and finished off with a tulle and butterfly off shoulder bordering. 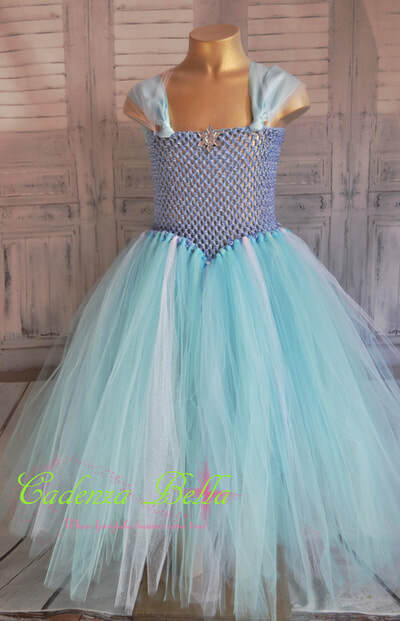 The longer tulle at the back is an optional addon - $8 fins option. Embolden oneself in this tutu dress. 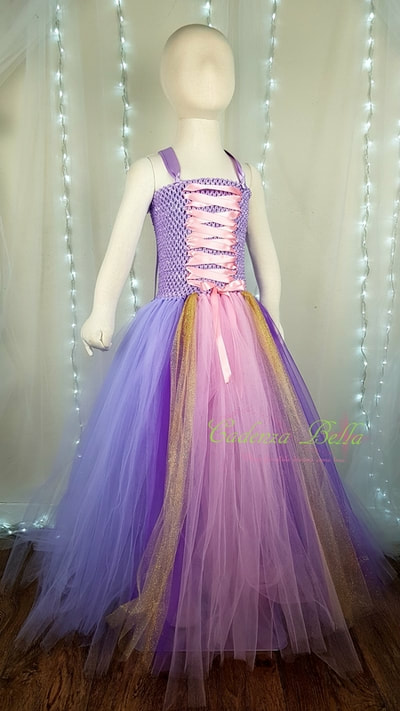 Featuring glitter tulle and glitter tulle strap detailing. The tulle is tied on to form a V shape at the front. . 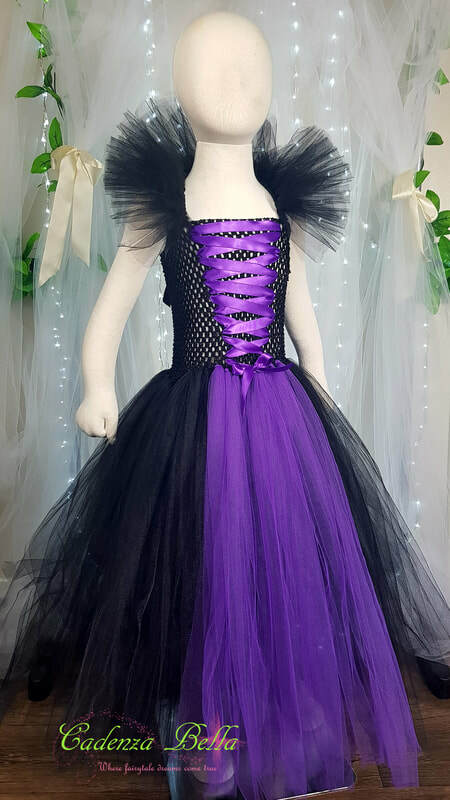 Embrace your true self in this gorgeous tutu dress. 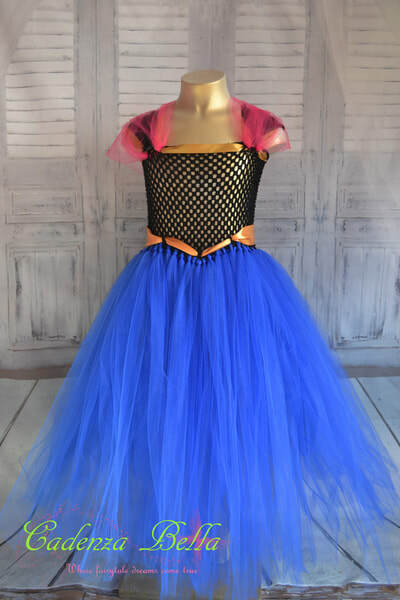 Features a Royal blue tutu skirt on a black crochet bodice. 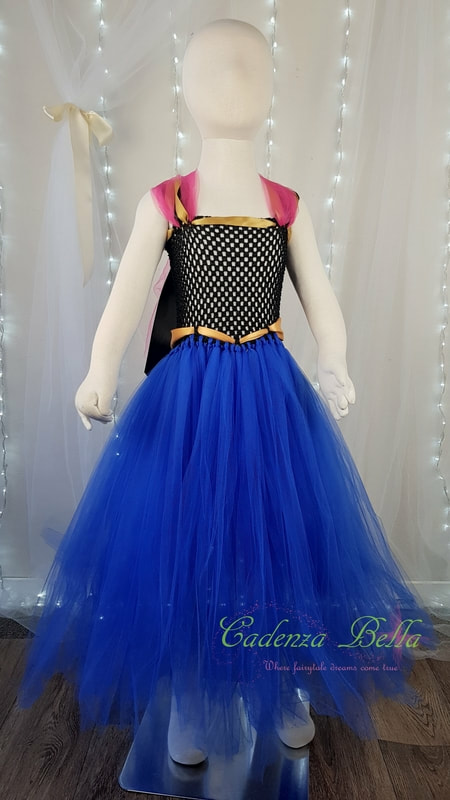 Finished off with gold trimming and black and gold straps with a touch of Fuschia tulle. 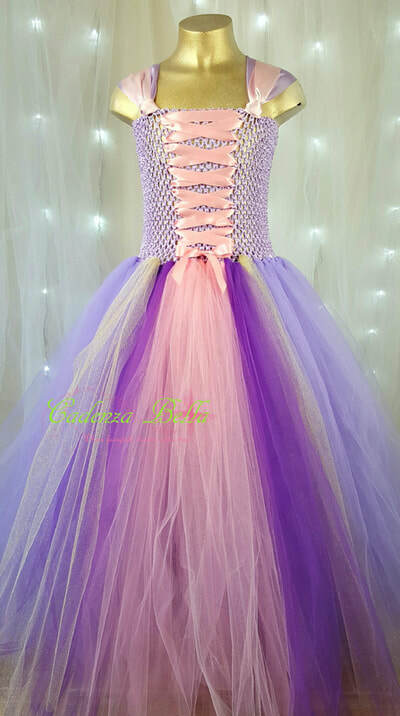 Twirl across the dance floor in this beautiful tutu ballgown. Consisting of an underlayer of white or baby yellow and a top layer in yellow and or gold tones. The Yellow princess features a tulle border on the bust and tulle embellishing around the skirt. 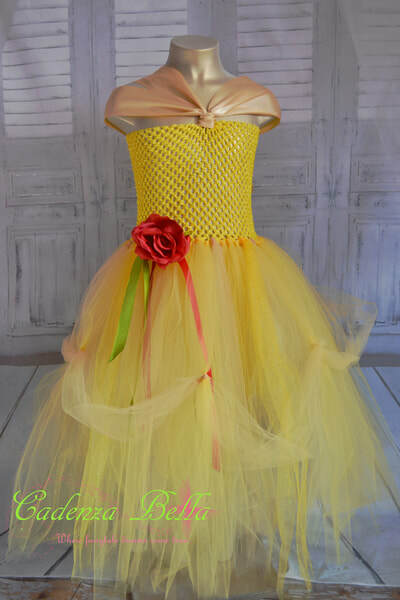 Featuring an underskirt in white and the top layer(s) in yellow. 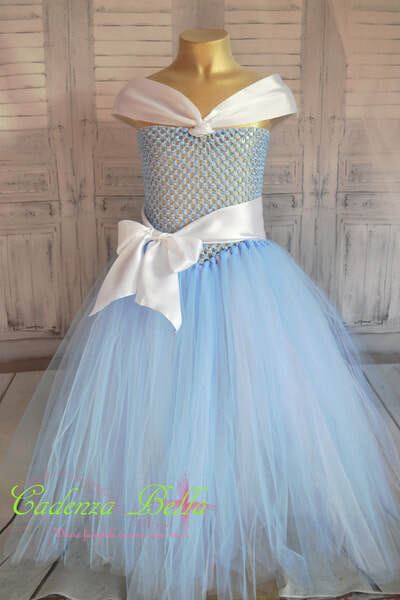 Finished off with double sided ribbon straps and lace up front or wee side bow. Embracing the femininity and innocence of a princess, This dress comes with a lace up front and thick tulle arm straps or double sided ribbon straps and lace up front or bow. This tutu dress has an under layer of white (to represent a petticoat) and the upper layer(s) are shades of various blues.. Finished off with a tulle off the shoulder feature and a White satin sash. 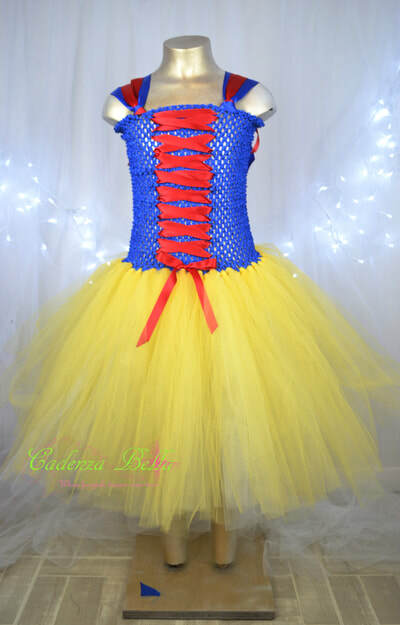 This stunningly wicked tutu dress embraces the misunderstood Queen in us all. 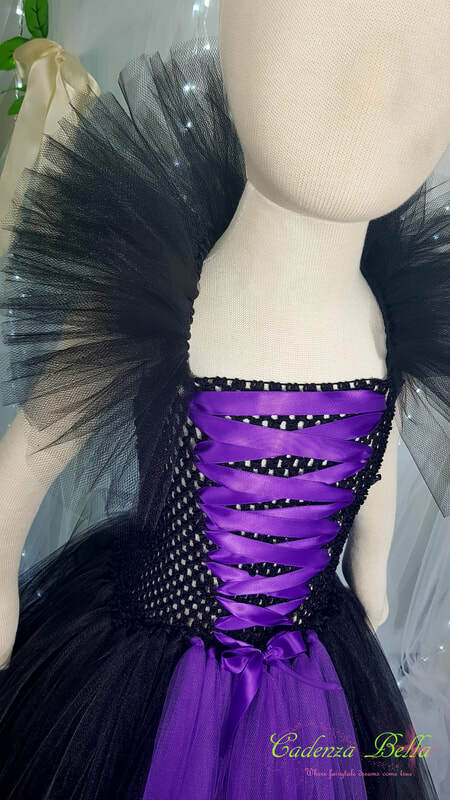 Predominantly black with purple featuring and lacing in the front. The neck detailing is an optional extra. 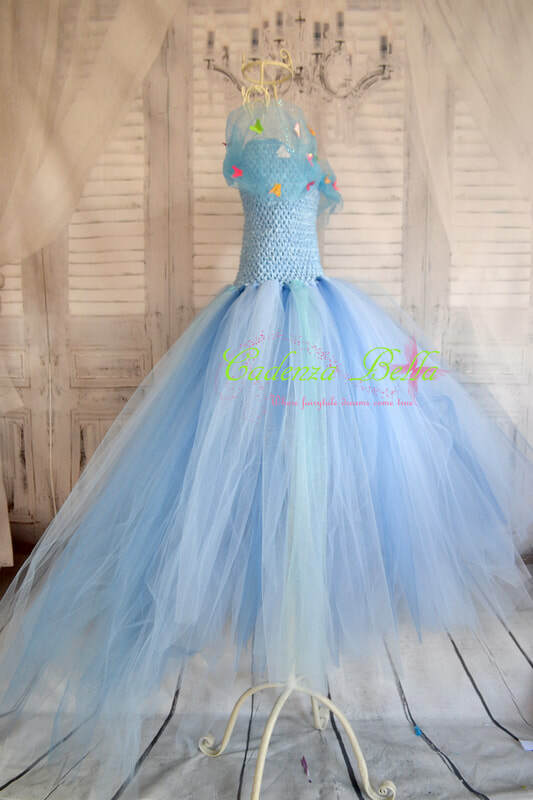 Consists of a full length tutu skirt made from yards and yards of soft fluffy tulle, tied to a quality soft stretchy crochet tube top. 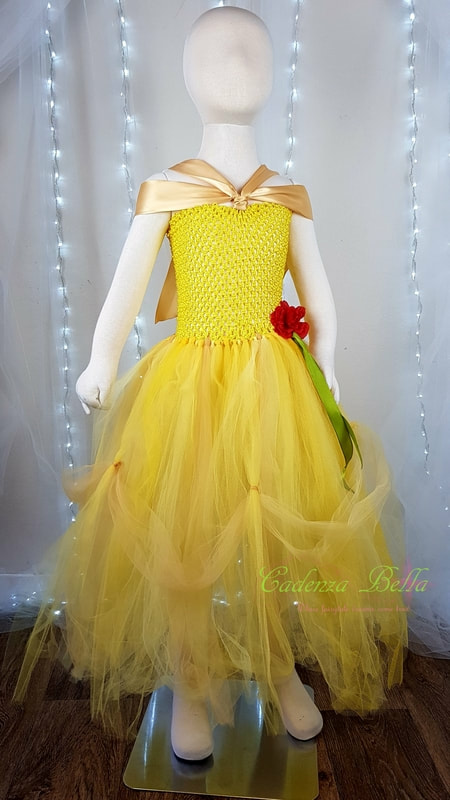 There are two full length layers in the back, one full length layer in the front and underneath the full length layer there are 2 regular length layers. 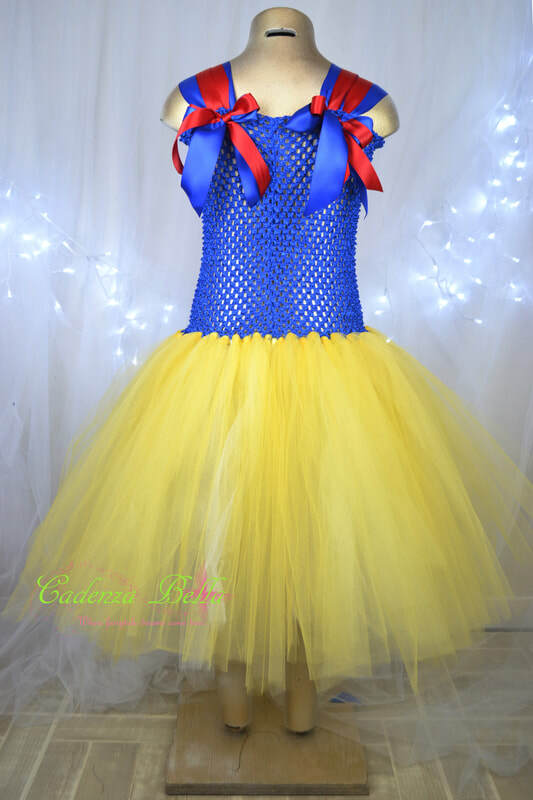 The skirt can be tied in the back like a tail. Finished off with a tulle 'border' around the top of the skirt and a hand sewn assortment of 'pearl beads' (for over 3's only).. Featuring a layer of Ivory tulle on the bottom and the upper layer(s) in lavender. 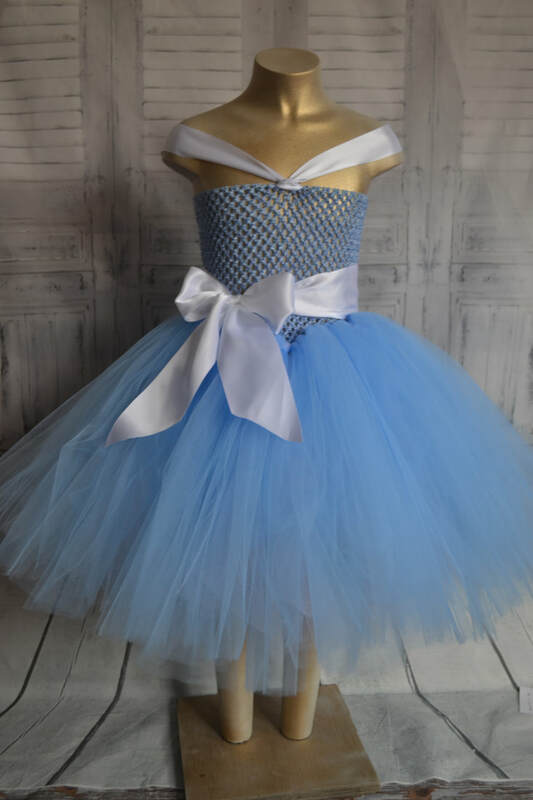 Finished off with double sided satin or tulle straps, satin ribbon detailing and a tulle border along the bottom. Additional embellishments can be added on via the add ons menu for additional costs. I can also make skirt only versions via my tutus or 'Cadence' tutus sections..
laceup tops can also be made to match to make an Isabella or Bella tutu dress.